Ray Delgado has lived a bad and disturbed life. He has been created from pain, abuse and misery, and is now the one who deals out pain, abuse and misery. A lifer with no chance of parole, he and several others who are beyond salvation are sent to a maximum security facility that is privately owned by a Russian security firm. You know that there is some other motive other than rehabilitation about the place, and the pay-off is well worth buying this book for. When a violent, unlikeable psychopath looks like they are going to play hero, you know you are in for something a bit beyond the pale. This has the makings of being up there with the best high concept mash-ups in comic form. Templesmith keeps the language gritty, the story repulsive and the art is a brilliant blend of photo-realism and celebratory gore. 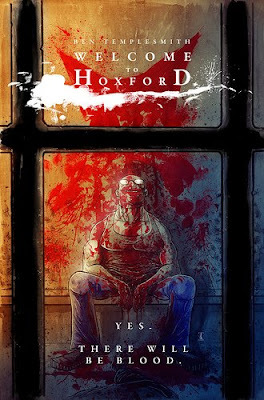 It is isn't going to be for everyone, but along with the release of Crossed last week, this is proof that Horror fiction is best played out in comics right now.